At this point in time, many people would say that it is too early to call who may be running as an opponent of Barack Obama in the 2012 general election. But before the race heats up, I would like to throw my pick into the hat now. 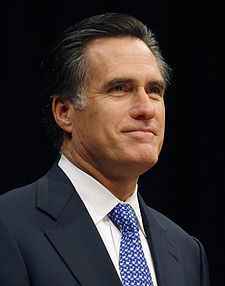 I strongly believe that Mitt Romney will run for President and will challenge President Obama after his first term in office. It's like Romney is already stumping for President of the United States. Lately he has attended at least 9 events for senatorial candidates, appeared at many different rallies and fundraisers and spoke at a few dozen meetings of Republican party groups or conservative organizations. He is way too active to denounce the claim that he is running for President. The mere fact that he hasn't mentioned that he will not run is testament that he still may run.